No cost, though free-will dana of $25-$50 to support the teacher would be appreciated. Tea and snacks will be served and there will be an hour lunch break for a brown bag or local restaurants. Although Jelaluddin Rumi died almost 800 years ago he is today the most popular poet in America. In this workshop we will go in depth into selected poems by Rumi, and see just how broad his spiritual experience and expression are. Through discussion and meditation we’ll examine the parallels between Rumi’s work and Zen teaching, and how wisdom poetry can inform our meditation and relationships. 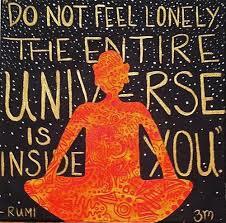 Bring your favorite Rumi poem for discussion if you have one. Sensei Al Rapaport is an authorized Zen Teacher and Zen Dialogue Facilitator who has worked with Rumi’s poems for over 3 decades. He began Zen practice in 1975 with Kozan Kimura Roshi, and also studied with Sasaki Roshi before moving to Zen Center of Los Angeles in 1977. At ZCLA he studied with Maezumi Roshi, Bernie Roshi and Genpo Roshi, and received Dharma Transmission from Shuzen Sensei in 2008. Sensi Al leads the Open Mind Zen Center in Melbourne, Florida. For more information, you are welcome to contact Sensei Al at (321) 427-3511 or OpenMindZen@aol.com, or visit www.openmindzen.com.